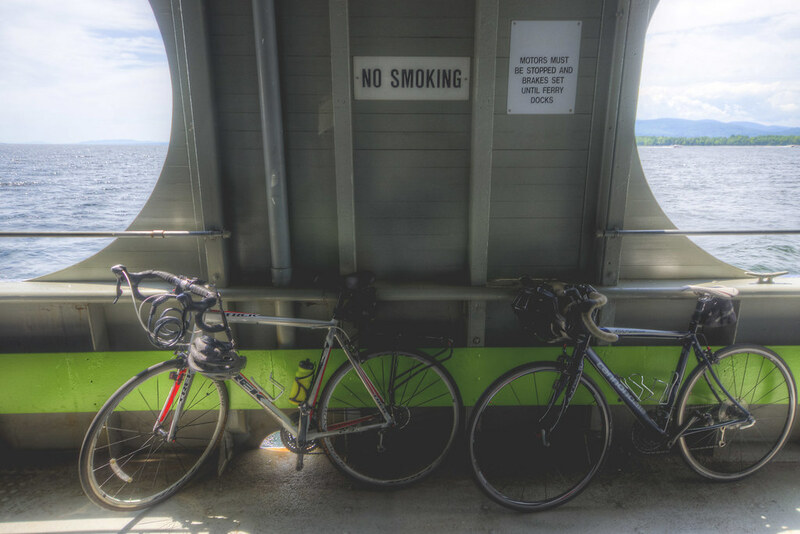 The ferry across Lake Champlain is brief—no need for cabins when a few benches will do. 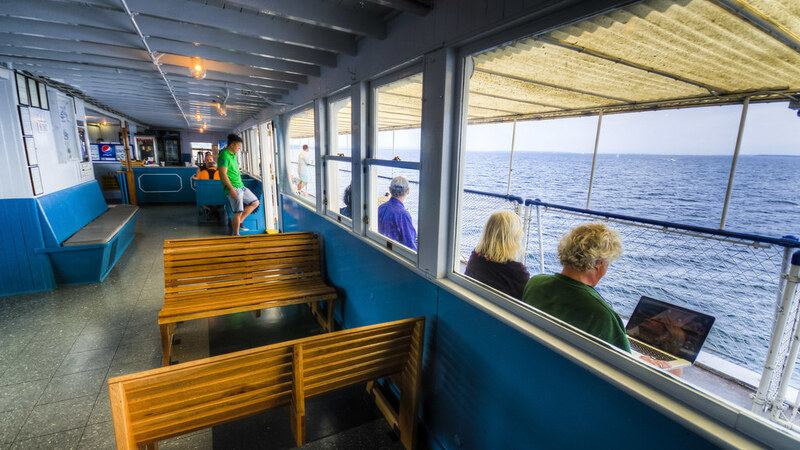 The calm of mid-century American design makes the place feel like every other ferry you’ve ever been on. Cars and bikes waited on the deck below. I rather like the notice about stopping motors and setting brakes above two vehicles for which that isn’t likely to be an issue. 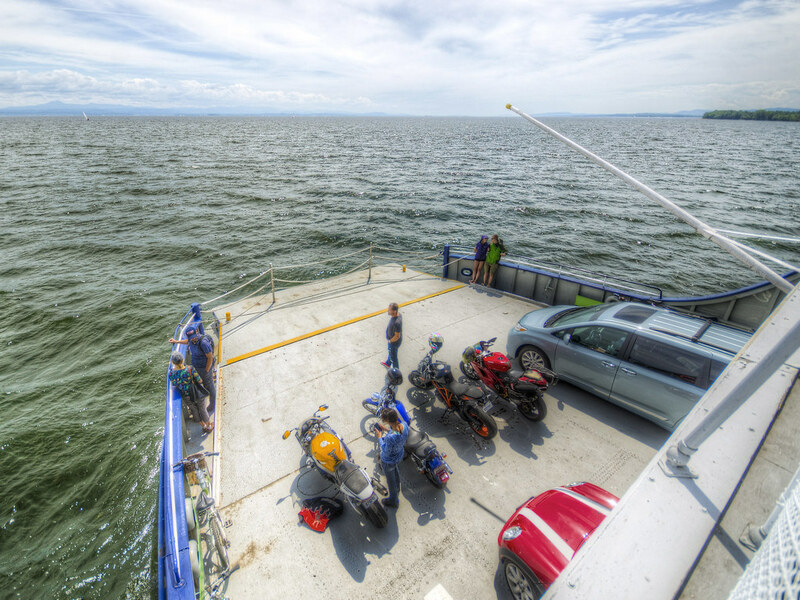 Our recent trip across Lake Champlain to Burlington, Vermont with the Mini (you can see it hiding in the bottom-right corner) included time on the ferry behind these four motorcyclists from Quebec. That medley of Ducati, Honda, KTM, and Harley-Davison, set against the backdrop of far-off sailboats and mountains, makes for a strong “adventure trip” vibe.